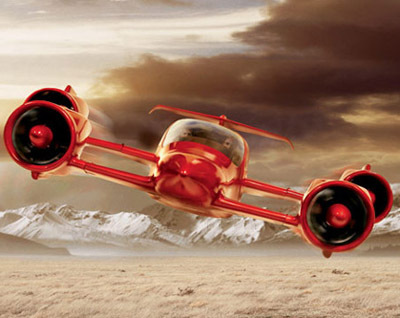 The M400 Skycar from Moller International is a VTOL (Vertical Take-Off and Landing) aircraft for public consumers. An onboard computer ensures that piloting the M400 is as easy as driving a car, just point the controls in the direction of desired travel. The 4 passenger Moller M400 has a cruising speed of 275 mph, and a top speed of 375 mph, courtesy of 1200 horsepower from the 8 ethanol fueled Rotapower engines. - Multiple engines, with the ability to operate with one or more out of action. - Backup computer stabilisation systems. 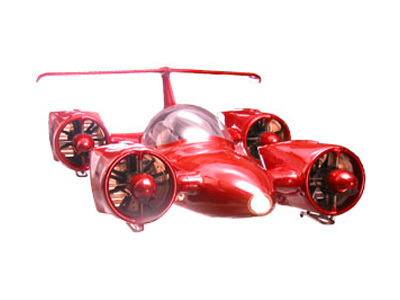 - Aerodynamically stable glide ability. - Dual parachutes, in the event of total loss of power the dual parachutes of the M400 can be deployed to bring the aircraft safely to the ground.